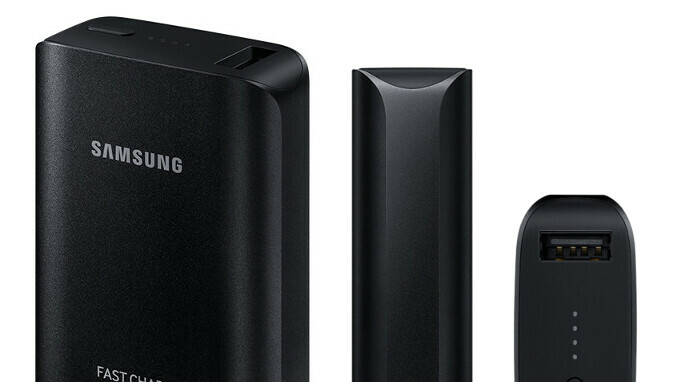 Grab a Samsung Fast Charge power bank for more than half off here! Summer's here and it's time for those trips and hikes. If you haven't got backup power yet (or need more of it), it's a good idea to grab a power bank or two! That way, you make sure your phone or tablet won't be dying on you if you happen to spend too much time away from a power outlet. DailySteals has a cool deal on a brand-new Samsung Fast Charge 5,100 mAh power pack. Instead of $59.99, you pay $24.99. How much is 5,100 mAh good for? Well, with today's flagships, we have around 3,000 — 3,200 mAh juiceboxes inside the phone. So, this powerbank should do good for an extra full charge and then some to spare, essentially adding a day to your phone usage! And, being a Fast Charge power bank, you will get quick top-ups for your Galaxy flagship. A 5,100 mAh power bank will not give you 5,100 mAh of power, unfortunately. More like 3,500 to 4,000 mAh. I was about to comment the same.... The technical knowledge of PA's authors is terrible for a mobile tech page... I have a 10000mAh PowerBank that gives me exactly 2 full charges of my Xperia XZ (2900mAh) So, a 5100mAh bank would give you around a full charge for a ~3000mAh phone... Maybe a bit more like you said. But the bank cannot fully provide its charge for several reasons, efficiency, chemistry damage, among others. how do you like your Xperia? I been thinking about one. i agree on samsung and apple. i never understood why people will tolerate the limitations of iOS , and pay more to do it. When I read huge I thought yeah just what I need. I'm thinking 20,000 mha then open the article and have my usual WTF phone arena moment! Thats a fair deal considering its a fast charge. Maybe its "huge" in Europe. I don't have a damn clue. That power bank is "huge" in size, not in capacity. I have a 5100mAh pack from Samsung and it is no thicker or wider than my Note 8 with case (pack is model # EB-PG950). Pffttt.... I paid about 20 bucks for an Aukey battery bank with 20000mAh. It also has a LED Flash Light and 2 USB ports... one with Quickcharge.